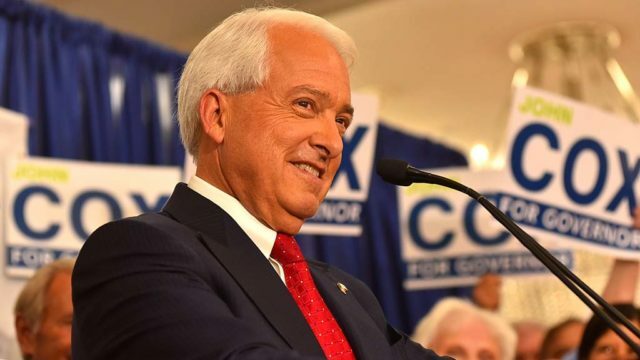 San Diego Mayor Kevin Faulconer has endorsed Republican John Cox for governor of California, the Cox campaign announced Friday. Faulconer is a Republican, but has frequently taken liberal positions on immigration, trade and environment that are at odds with President Trump, who has also endorsed Cox. Cox, who moved to Rancho Santa Fe after a business and political career in Illinois, faces Lt. Gov. Gavin Newsom, a Democrat, in the November general election.